Facebook VP of Partnerships Dan Rose is leaving the company early next year, he says. Rose joined Facebook in 2006, and played a key role in deals like the acquisition of Instagram and an early investment from Microsoft. He says that he’s leaving because his family moved to Hawaii last year, and he doesn’t want to split his attention between his job and his home life. Rose is the latest in a string of high-profile departures from Facebook. Dan Rose, an early Facebook executive who was instrumental in deals like the acquisition of Instagram and a key investment from Microsoft, is leaving the company early next year. Rose, who joined the company in 2006, announced his departure in a post to his Facebook page on Wednesday. In the 12 years he’s been with Facebook, Rose oversaw the social network’s relationships with other companies, serving as the vice president of partnerships. Rose is the latest in a string of high-profile executive departures at Facebook as the company finds itself buffeted by a storm of controversies, including the use of its platform to spread misinformation and interfere in elections around the world. Rose said his departure was for personal reasons, writing in his post that he wanted to be with his family, which moved to Hawaii last year. He said that he “semi-commuted” between Hawaii and Facebook’s Menlo Park headquarters, but has now decided to live full-time in the island state to better focus on his family. “[Facebook CEO] Mark [Zuckerberg] and [COO] Sheryl [Sandberg] changed my life and my career. I would walk through fire for them, or fly across the ocean on a regular basis,” writes Rose. Before Facebook, Rose was at Amazon, where he helped introduce the Kindle e-book reader. At Facebook, he helped negotiate a deal with Apple that saw its social features integrated with the iPhone, as well as an advertising deal with Microsoft that later turned into a $US240 million investment that valued the company at $US15 billion. In his Facebook post, Rose said that he plans to stay on through at least the Mobile World Congress event in early February, leaving him time to come up with a formal plan for the transition. He noted that he’s not ruling out the possibility of taking some other role with Facebook. And he said he plans to invest and advise smaller companies. Rose’s exit is the latest departure from Facebook’s bench of seasoned executives. 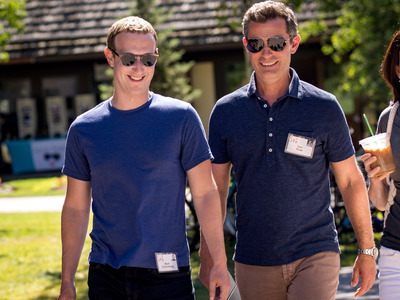 In June, long-time communications chief Elliot Schrage left Facebook after ten years with the company, while in August, cybersecurity head Alex Stamos left after reportedly clashing with the other senior managers.